One of the benefits of social media for travel is it gives you the perfect way to encourage visitors to subscribe to your travel email newsletter. Use postings on Facebook to highlight the value of your email travel newsletter; you can post a sample to raise reader interest. Post one of the interesting articles you include in your email newsletter on your blog and encourage visitors to sign up to receive more articles, and tweet the riveting subject lines from your email to encourage your followers to sign up. While you don’t want to discourage visitors from signing up by confronting them with a long or complicated signup form, the more information you get up front, the better. Always make the first pieces of information their name and email so you can still capture visitors that stop partway through the sign up process. Ask additional questions about their travel interests with radio buttons, check boxes, and dropdowns to make the process as fast and painless as possible, and be sure to add sign up forms to your website, blog, and Facebook page for the widest reach. 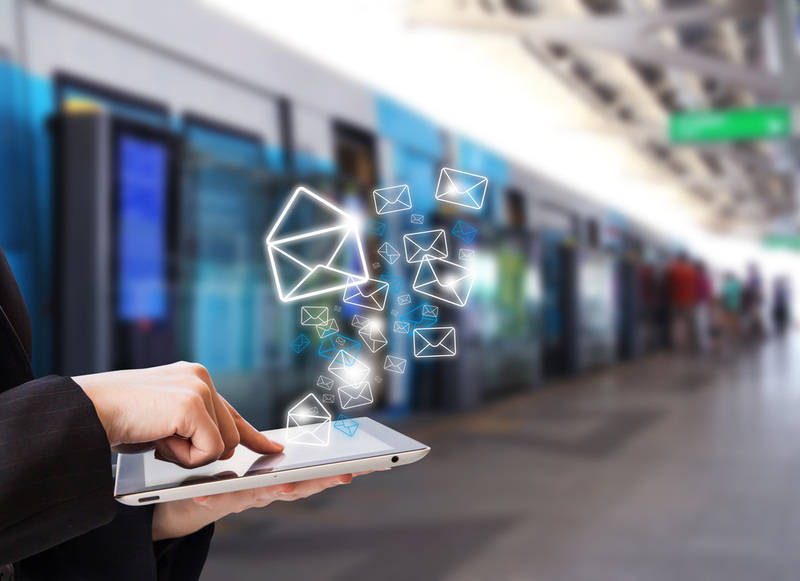 The majority of travelers access the internet using smartphones or tablets so it is essential that your email newsletter look good on every type of mobile device. By carefully crafting your emails to work on mobile devices you can turn them into an attractive, effective part of your mobile marketing strategies for travel. Your subject line is the do or die part of your email. Take the time to craft interesting, attention-grabbing subject lines that get your emails opened. Entice readers to open your travel email with a photo of an intriguing destination or activity. Don’t overwhelm readers with competing photos; one or two striking photos per email will do the trick. Let your readers know you include a special deal or discount in each of your travel email newsletters to ensure they open it each month. Raise the level of engagement by varying the time limit on your deals so readers are not tempted to disregard a newsletter during financially lean months. The goal of your email campaign is to increase bookings, so make sure you always include a call to action on your travel email. You can offer valuable content, like packing tips, information on top destinations, international travel tips, etc. with a call to action button that leads to a custom-designed landing page. To get the best return on your email campaign, segment your contact list by demographics and interests, such as families with young children, seniors, active young adventure seekers, etc. Create several versions of your travel email newsletters, with each targeting one segment of your subscribers. There are any number of free email programs like MailChimp available on the web that can maximize the reach of your email marketing campaigns. Initial accounts with attractive, easy to use email design templates are free; sophisticated features can be added (some require paid subscription) that automate A/B testing, allow you to schedule campaign dissemination, and more. Use A/B split campaigns to test how different factors affect the way subscribers engage with your travel emails. Employ Google Analytics as a tracking tool to gauge the effectiveness of your emails; use the results to refine your email marketing campaigns for maximum effect. Turn to the marketing experts at Travel Tech Strategies for more travel marketing tips along with innovative online travel marketing strategies that incorporate responsive travel web design, social media marketing for travel, and travel big data mining to maximize your marketing efforts. Contact Travel Tech Strategies today at 954-779-2801 for more travel agency email marketing tips along with expert online travel marketing strategies that will ensure your agency’s success!